Today I’m happy to be part of a virtual blog tour for a little book packed with wisdom and insight. I will be sharing my review and give you a chance to throw your hat into the ring for a most generous giveaway from the author. In this touching, often humorous and very personal account, Bernie shares his 86 years of life, love, less and laughter as an inspirational guide to what it means to age without growing old. His advice on love after 60, how to talk with family members about illness what you should be prepared for when confronting tragedy and loss, what it means to be a caregiver to a loved one and many other of life’s challenges are a must for family members young and old. Mr. Otis’s book is a treasure trove of personal and professional life experiences that will help you prepare for old age and take control of the nature of aging. Be prepared to laugh out loud and quietly shed a tear as Bernie takes you through the voyage of life. Bernard S. (Bernie) Otis is a delightful and well known speaker, writer and community leader who has made his 65-year career in the food service facility planning, marketing, management, sales and consulting industries. His life’s work has included service to many hotels and restaurants in Southern California, Santa Clarita, San Diego, Las Vegas and New York City among others. 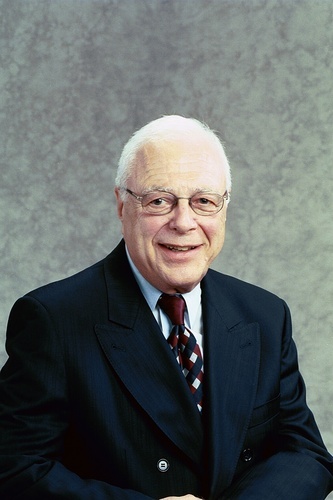 He has been instrumental in serving several top companies such as Hewlett Packard and Disneyland as well as major hospitals, universities and restaurants around the country. His community involvement includes work with the National Indian Gaming Association and the Rotary Club (where he has been a member since 1954 and a Paul Harris Fellow.) After his wife’s death in 2012, Bernie, a trained Hospice care giver, began working with families of terminally-ill patients. Connect with Bernie on his blog, Facebook and Twitter. As someone who has just entered her 50s, and whose parents are approaching their 90s, this was just the book I needed to read. An eighty-year-old man is sitting on a bench in Central Park. It is five in the afternoon and he is crying. A young businesswoman on her way home from work comes up to him and asks him what was wrong and why he is crying. Written from the perspective of an 86 year old, the book made me laugh, cry and nod my head in agreement quite a few times. Filled with anecdotes the book also has a lot of practical wisdom. For example, the author has dedicated one chapter to questions and a checklist that is so useful for an older person’s family when s/he becomes ill and eventually passes away. These are questions about insurance, finances etc. The author is giving one lucky reader a $20 Amazon Gift Card! We are on Day 11 of the September Blogging Challenge. Sounds like a terrific book! I know what I’ll buy if I win the giveaway! I’ve had an incredible last couple of days – visiting the bedside of a 103 year old aunt of my husband’s and visiting the bedside of a long time friend who may be in the final stages of a 3 1/2 year battle with cancer. I’ve seen love in action in a way so personal that I do not feel I can blog about it right now. I’m interested in reading this book – I do need to do a lot more preparing for old age now that I am 62, a caregiver, and an eyewitness to some of what aging entails. Thank you for sharing, Alana. Caregivers are so inspiring – you too, my friend. As someone getting disturbingly close to 60, I could use all the help I can get. Thanks for the recommendation! Great review. I am going to enter the giveaway. Plan to read everyone else’s blogs too. Mine is short and sweet today. Hope you enjoy. I will probably comment again later. Have to run now to get my daughter. Definitely sounds like an interesting read. I’m only 29 but it’s never too early to prepare for old age. I love the book’s subtitle! Thanks for the review – sounds like a good one. Yes, it’s a delightful book despite the serious subject, Laurel. I wish this book would have been around when my brother was taking care of our mother in her waning years. Well, I’ll just be glad it is around now, because my in-laws are getting to that age where there are fewer years ahead of them than behind. Care giving is tough, LuAnn. Somehow we’re never prepared enough for aging or looking after the elderly. I think this book gives insights to both. This sounds like a must read for all of us with living parents or older siblings as we age! I was glad I read it, Haralee! 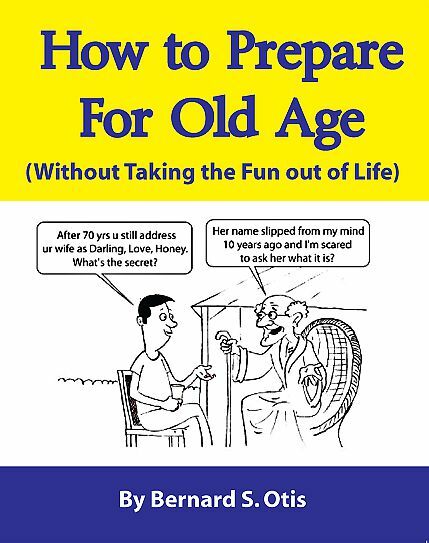 getting older and watching our parents age is quite scary – this book sounds like it takes some of the worry out of the process – which can only be a good thing! It is scary, Leanne. I like the fact that it was written by an older person, for a better perspective. That’s right, Naba. It would be good for your parents. Looks interesting.. I will add it to my wishlist. Liked the excerpt that you shared from the book. If you have aging parents it might be a good book for them to read, Mahathi. Sounds like a lovely book! I’d love to read it, considering I am reaching a milestone soon! Thanks for sharing the title!